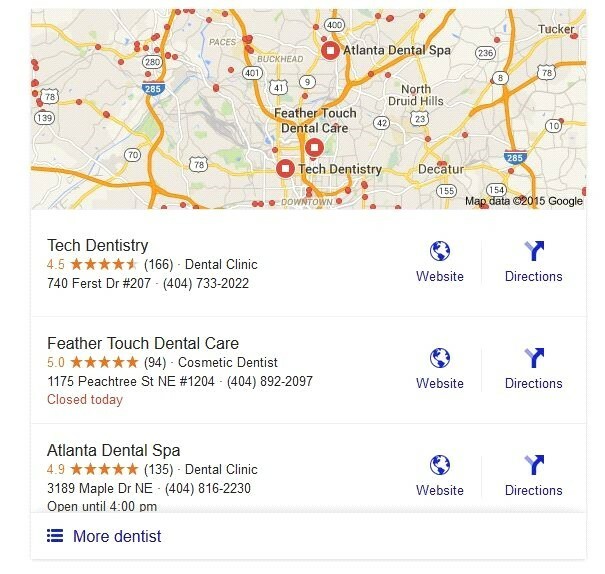 Another crucial aspect of Local SEO is reviews. Therefore, it’s worthwhile to make a effort to have your customers leave Google reviews for your business. The more Another crucial aspect of Local SEO is reviews. Therefore, it’s worthwhile to make a effort to have your customers leave reviews for your business. you have, the higher you will rank with Google Reviews. Your goal should be for reviews to trickle in over time and not flood in all at once. This will have the greatest effect. At this time it seems less important in Google’s algorithm for all the reviews to be positive, just as long as the majority of them are. Of course getting good reviews is always better than a bad review. So make a effort to have a very satisfied customer write a review and take care of any disgruntled customers before they can write a negative review. gladly leave one. Also make it easy for them to leave reviews by providing links to where you want a review left. sites are very good at combing out fake reviews. In fact, Amazon just sued some users for paying for fake reviews. Google review they must have a Google account,(most people have one these days). Even though a review on your Google+ Local page is most valuable, you need to go after reviews on other sites as well. relevant to have reviews on sites like Foursquare,Yelp,Tripadvisor and recently Facebook has started to include reviews. If nothing else, you establish confidence with potential customers.Look where your competitors get their reviews and do the same. content several times a week. The best way to acheive this is by having a blog linked to your site. If you are good at writing, this will be a excellent way to get new content on your website. You can also record videos, if that’s more to your liking. Having more content will boost your SEO on main searches. It also allows people to find your website using more keywords. Even more importantly is you will come across as the local expert in your industry. You could be thinking, you don’t have something to contribute. But, you probably know something others will find relevant. Maybe, your a mechanic and you film a video about how to change a truck tire or some other basic task. Include your location in every post, to give Google another clue about where and what you are doing. It’s become important and will only continue to increase in importance. Google already looks at things like “likes”,”shares”,etc when ranking a site in the SERPS. That influence is not going to change anytime soon. mediums, so look at where your core customer/fanbase is and be most active there. You should always be active on your Google Plus page! Include your NAP on all social media profiles. Links score a lot of points with Google when it comes to ranking websites and this holds true with Local SEO as well. This is where you can really get ahead of your competition once all the basics are covered. covers the same local area as your site, will weigh heavier than links from other parts of the country. This does not mean you should not get a link from a national website, just go for local links first then branch out. cost you money, you could barter services in exchange for a link. There are many ways to get local links , if you think outside the box. Now you are in a great position to bring your businesses website to the top of the local SERPS. If you have not already verified or created a Google Plus page do this first! Next, you should look your site over and make sure your location is listed in all relevant places. Then, check that your citations use NAP consistently and find new sources for citations. Also, look into how to get your customers to review you. For the long term, keep fresh content on your website, promote your social media accounts and link build with local focus. You do this and over time your rankings on the serps will improve!